Tip 1: It’s important to get a professional home inspection and roof inspection. I often recommend fixing any health or safety issues prior to going on the market. It’s also a good idea to get a termite inspection before you go on the market. Why? One, you’ll know what’s wrong. You’re gonna know what needs to be fixed and you have the option to fix prior to going on the market. Any big ticket items are going to cost money, it’s better to know in advance. Take repair costs into account for your bottom line and avoid having to fix issues that are not truly issues, this shows that you are transparent and have nothing to hide, and it lets you know what types of loans you can accept and the consequences of doing so. Tip 2: Get your home appraised by a licensed, certified local appraiser who knows the area. This takes the guesswork out of pricing. It ensures proper negotiations are made upfront regarding price returns in the contract if your home appraises higher or lower than the agreed upon contract price. The bank won’t loan on anymore than the home appraises for. It ensures you don’t overprice your home and that you don’t under price your home. Remember, a zestimate is not an accurate value of your home. It’s an algorithm and it does not take into consideration things like upgrades, views, lot size, location, age of the home, et cetera. Tip 3: Get your home staged, or do semi-staging both inside and out. Your home will sell faster, and it should sell for more money. On average, around 6% more. And by staging properly, buyers can see themselves living in the home, and not just look at your decorations. You’ll get the most bang for your buck by making adjustments in the carpets and paint, if necessary. 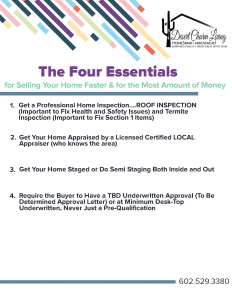 Tip 4: Require the buyer to have a to be determined underwritten approval, never just a pre-qualification. This ensures that the underwriter has already seen the entire file and approved it. They’ve seen and approved things like buyers’ taxes, W2’s, they verified employment, and seen the bank statements. By doing this, you take the risk out of a buyer falling out of escrow, because they truly do not quality to purchase your home. 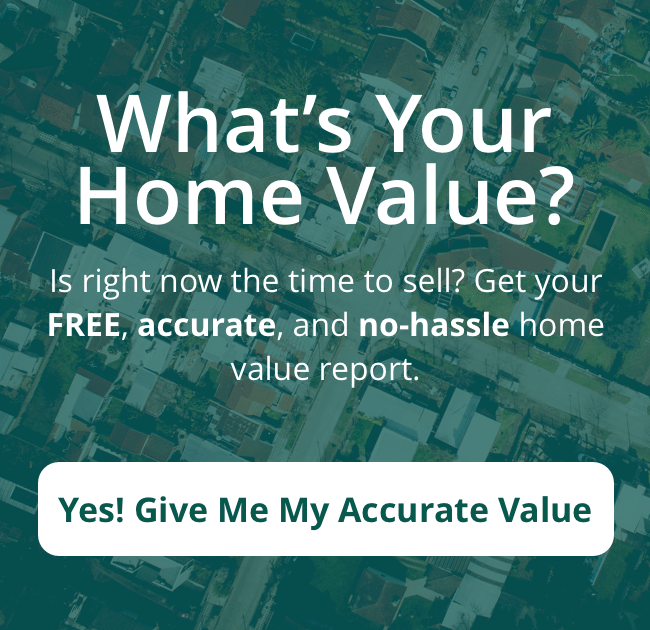 Selling your Northwest Valley AZ home should be hassle-free and a positive experience. 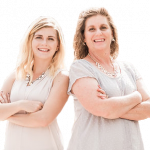 We’ll help you sell or buy your perfect Peoria, Glendale or North Phoenix area home, avoid mistakes that could cost you thousands, and save time in the process.